Sydney, April 14 2018. It’s part of Australia, but also a part of the Pacific. It’s a tiny speck of land only 11km by 3km, but it has terrifyingly high mountain peaks. It boasts under 400 inhabitants and has a 25kph speed limit. It’s Lord Howe Island, and it’s a unique destination. By James Teo. Some of the best views in the Pacific on Lord Howe. Courtesy Lord Howe. The first white men to see Lord Howe Island arrived in 1788, on the transport ship HMS Supply, were probably not thinking what a lovely place for a holiday. They were mostly convicts too hot to handle in Sydney’s Botany Bay penal settlement, and were on their way to being dropped off at the new super-secure convict settlement on Norfolk Island. Ball was so thrilled with the embracing climate and lush vegetation that he named the island after his pal, First Lord and Admiral Richard Howe. 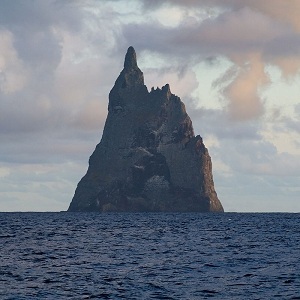 He did sneak in his own name for Ball’s Pyramid though, a unique 560m high volcanic stack just south of Lord Howe. Yes, the world's biggest volcanic stack - Ball's Pyramid. Courtesy Wikipedia. Originally uninhabited, the island saw its first residents arrive in 1834 when six New Zealand Maoris arrived and started a whaling and ship supply depot. Since then, its remoteness (600km east of Brisbane) has kept it very pristine apart from the a solid section of its original birdlife which succumbed to whalers’ dinner plates. Today, Lord Howe boasts one of the most unspoilt and remote holiday environments in Australia. In 1982 its unique attraction were given the seal of approval with inclusion on the UNESCO World Heritage List, and the whalers and palm harvesters are mostly gone. Tourism is its main industry. With a balmy climate similar to many other Pacific islands, it boasts a landscape of vertiginous cliffs and imposing cloud-swathed, sub tropical rainforests, a lagoon, pure sand beaches and the world’s southernmost coral reef. Those convicts didn’t know what they were missing. From sea level to 875m in one glance. 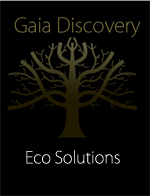 Only to be found on Lord Howe Island. Courtesy Capella. The island offers room for a maximum 400 visitors at a time, most of which are either bird spotters, snorkellers or walkers. The island’s waters are home to more than 500 species of fish, its forests some 130 species of birds, and the Seven Peaks Walk weaves through exotic and virtually untouched rainforests along the ridge of the island. This has been branded as the best walk in Australia, and one of the Great Walks of the world, taking in Gower and Lidgbird peaks at 875m and 777m respectively. Not pimples, by any means. In 1981, the Australian government listed some 70% of the island as a Permanent Park Preserve, with surrounding waters listed as a Marine Park in 1998. As a result, around 75% of the island’s original natural vegetation remains intact and undisturbed, with no air or sea pollution, and not a speck of litter anywhere. The island has to ship all waste including food, paper and cardboard, green waste, recyclables, re-usables and general waste back to the mainland in the island’s supply ship, the MV Island Trader. Even sewage went the same way in a customised 1,800 litre wastewater tanker – although a new on-island system is in the works. This means that the hotel and tourism operators have a gem to work in – but some extra challenges compared to the usual city locations. Any building or improvement work means all materials have to be shipped in – often at more cost that that of the materials themselves. And there is no just throwing rubbish in a skip – everything not used has to be shipped back off the island. In the old days, you could arrive on the island by flying boat. Strap in! Courtesy Sydney Museums. The update included specific energy management aspects; there is no national grid on Lord Howe to fix energy sinkholes. The design and environmental situation of the building was laid out to maximise the benefits of local weather patterns, encouraging flow-through ventilation and the optimal use of glassed areas to capture sunlight. Capella's claims its views are some of the best on the island. Courtesy Capella. As a result of this careful design, Capella Lodge says it is the only tourist destination on Lord Howe with ocean, lagoon and mountain views that “reflect the island’s pristine natural environment,” and even better it doesn’t need air-con, which both saves energy and makes the interior atmosphere more pleasant too. Furthering its sustainable credentials, Capella uses solar heating for most of its hot water, with 40 solar panels that generate more than 14,000kWh in an average year. This could be one reason why Capella is working with the Lord Howe Island Board on revegetating two acres surrounding Capella Lodge, using endemic species like Kentia Palms, Melaluca, Bulli Bush, and Goat Wood. Which is probably what those convicts ended up doing on Norfolk Island. Getting there: QantasLink operates at least one two-hour flight a day between Sydney and Lord Howe, as well as from Brisbane and Port Macquarie during the peak season.